The art of mastering audio has developed immensely since its start in the early 1900's. Up until the creation of the analog tape machine, all performances were captured directly to a form of vinyl disc called a lacquer. Once cut, the disc was processed to create what is called a metal "stamper" used to press the melted vinyl into the actual discs played on a turntable. Mastering, by technical definition, is the actual process of creating the stampers that are used to press the vinyl discs. The mastering process has evolved over the years to follow the changes in commercially released technology from the original 78 rpm discs. These changes include 33 1/3 and 45 rpm discs, audio cassettes, 8 track tapes, CD's, mini discs and mp3s. Each emerging technology presented new options to the consumer and new challenges to the mastering engineer. In the professional recording studios, the emergence of the analog tape machine in the 1950s changed the way records were made forever. The process of recording to analog tape removed many technical limitations of recording directly to a lacquer and added an important new job, the transfer engineer. The transfer engineer's job is what we commonly call today, the mastering engineer. The job of a transfer engineer was to take the analog tape master and transfer it to the lacquer so that the metal stampers could be created. This extra step in the process took a load of pressure off of the recording engineer who could focus primarily on capturing the performance and not have to worry about whether it would cut well to the lacquer. Overly dynamic performances or excessive bass frequencies, that would normally destroy the lacquer, could be more easily dealt with in the transfer process. Soon, the job of the transfer engineer would become an art-form of its own. Technology would quickly develop to accommodate the issues faced in the transfer process. As this technology developed the term pre-mastering entered the lexicon of the audio world. Pre-mastering is the preparation process before the actual mastering of the stampers takes place. Special control rooms and consoles were created to aid the process. The addition precision equalizers and high end compressors helped to address the increasing demand for sonically superior records. The loudness wars began with the pressure to make every song louder than all the others on the radio. Pre mastering audio became the bridge from the recording studio to the consumer and a critical part of the music industry. The Process of mastering audio involves a series of steps that have not changed very much over the decades. What has changed is the tools used, the medium worked with and the end product that is released to the public. While the mediums have evolved and the number of ways we can master audio have increased, the basic steps remain. Let's review those step one by one and show how they have developed over the years. Although the order in which some of these steps are taken has changed through the decades, each step must still be carefully considered. The development of digital technology, in particular, has increased the options of mastering audio exponentially. Today, mastering engineers can do things that were not even conceivable just a few decades ago. Let's take a quick look at each step in the process. The final mixes must be brought into the mastering studio in some format. Since the start of multitrack recording in the 1960s, this format was always analog tape. In the late 80s, many final mixes were recorded onto digital tape in RDAT or Reel to Reel format. As computer technology developed through the 90s, a data disc or hard drive became a suitable medium to bring to the mastering engineer. With the development of the internet, FTP would also become an acceptable method for supplying the final masters. Whatever the delivery medium, the client must present it in a format that the mastering engineer is capable of working with. The mastering engineer is responsible to manage the masters with a careful discerning ear. They must determine that the masters are suitable for processing and decide the best method of transfer. Analog tape masters must have a tone reel, used to align the tape machine electronics, in order for the masters to be accurately transferred. Digital tapes must be carefully viewed for error counts, dropouts and clocking issues that may degrade the master. Computer based mixes must be examined for sample rate, bit depth and file format to determine if the best quality format has been presented. The transfer process, for mastering audio, has been greatly simplified over recent years as a majority of final mixes are presented as digital audio files on a hard drive. This has largely negated the need for analog to digital conversion. Since the 1980s the conversion from analog to digital was seen as the weakest link in the mastering process. Because this technology has received an enormous amount of attention over the decades, it is not uncommon for digital files to be converted to analog for processing before being transferred back into the mastering program for processing. Mastering audio for vinyl was a simple matter of organizing the final mixes onto 2 large reels representing side A and B. Any editing or spacing between songs would need to be done with a razor blade and splicing tape before being sent to the mastering console for processing and leveling. Once the processing and levels was determined for each song, the final masters would be transferred to the lacquer, in real time, one side at a time. For CD and downloadable releases, analog tapes may be processed first, using analog compressors and equalizers, before the conversion process to digital. The decision to process first before transfer would be based entirely on which method sounded best. The sample rate, bit depth, quality of A/D converters and digital clocking source would all be careful decisions to best preserve the original quality of the final mixes. Many mastering engineers will import songs in the order in which they would appear on the CD. Sometimes there is a specific reason to import them in a different order due to the media they are being transferred from or specific analog processing that works well only for selected tracks. Once imported into the mastering program, changes of song order can easily be made without affecting any other level of processing or editing. In the days of vinyl records, the song order was a carefully weighed decision. Because there are 2 sides to a vinyl disc, a decision must be made for each song to determine if it belongs on side A or side B. Songs can be divided up in a variety of ways that capture a certain vibe or feeling for each side. The total running time for each side also weighs in greatly and can affect the audio quality if not divided equally. The more audio there is on one side of a vinyl disc, the less deep each groove can be cut and the lower the quality will be. When mastering audio for CD the song order should be focussed on the overall flow of the entire CD. The CD must start with a strong song but not necessarily the single that would be released radio play and promotion. If you focus all the best songs early, the listener may not ever make it through the CD. Even though many will listen on an mp3 player and only keep what they like, weaving a coherent flow of songs will eventually draw a fan into enjoying all the songs on the CD, not just the singles. Once the masters are transferred, the files will need to be edited so that the start and end of each song is clean. There is usually a short breath of space left in at the beginning of a song, with a fade-in, to smooth in the transition from silence. End edits involve getting rid of extra noises and chasing the ending with a fade-out to conclude the song naturally. When preparing your final mixes for mastering it is always best to supply mixes that have extra room at the head and tail of each song. This way the mastering engineer has something to work with. It is not uncommon for mixes to be presented to the mastering engineer with the heads and tails clipped. This leads to extra editing work for the mastering engineer who then has to find a way to make the start and end sound natural. The space between songs will define the flow of the record from beginning to end. When mastering audio, the producer and artist will help to define when the entry of the next song sounds natural. You may need a longer space after a hard hitting track if the next song is lighter in feel. Conversely, coming out of a softer song you may want the space to be short if you want the next song to have more impact. Many dance records line up the next song to start on a virtual downbeat as if the tempo from the previous song had continued through the space in between. Mastering audio can also involve a bit of processing when called for. The motto of the mastering engineer when processing is always the same, do no harm. Processing generally comes in only 2 forms even though those 2 forms can serve a large variety of purposes. The 2 forms of processing are compressors and equalizers. Compressors serve an enormous number of purposes when mastering audio. A compressor when used lightly can add overall level and power to a mix . In the form of a peak limiter can be used to control peak levels that allow the overall gain of the song to be increased. In the form of a multi-band compressor it can be used to strengthen a frequency area that is deficient in the mix. Equalizers also serve many purposes in mastering audio. An EQ can be used to subtly shape a frequency area of a mix to add clarity and depth. It can also be used to filter out low frequencies that keep a mix sounding muddy or lacking in punch. A notch filter may be employed to remove a troublesome frequency in a mix. The next step in the mastering audio process is to make sure that the overall levels from song to song are even. This is not as easy as it may seem on the surface. The frequency content, density of frequencies and amount of compression can lead to uneven balances that require a good ear to get right. Additionally, a fade in or fade out on one song can skew the perceived level of the next. The difference between perceived level and actual level can easily lead to bad decisions if only looking at the meters for reference. The use of sonic maximizers can come in handy here. A sonic maximizer is a form of limiter that controls transient peak signals and allows all signals below the threshold to be raised up by the same amount of gain reduction. Although the design and options vary from plugin to plugin, the essential mission is the same, make it as loud as you can without destroying or distorting the mix. Today, it is the most commonly used, and abused, tool to get perceived loudness from a mix when mastering audio. The PQ coding and ID tagging process allows CD Text, ISRC codes, UPC/EAN and Copy Protection data to be entered into the instructional data of a CD or downloadable file. 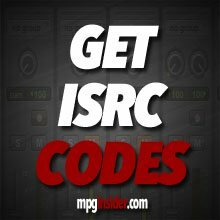 ID tagging allows downloaded digital audio files to be identified in terms of song name, artist, songwriter, date recorded, musical style, etc… The tagging can also allow for ISRC and UPC/EAN coding so that sales and radio play can be tracked by the owner of the recordings. A great way to preserve the quality of higher resolution masters is to apply a process called dithering. Dithering is a process that involves adding low level random noise to the audio when lowering the bit depth from 24 bit to 16 bit as required for CD mastering. The added randomness helps preserve the sense of depth in a mix that is normally found with higher bit depth masters. It is always the very last step of the mastering audio process before printing the final production master. The final stage of the mastering audio process is to burn the final production master. The final product of the mastering session can be a burned PMCD or a DDP file. PMCD stands for Pre Mastered CD which is formatted specifically for the manufacturing plant and used to create what is called a glass master. A high quality disc burner, and CD media is an absolute necessity to keep the error count low. The DDP format (Disc Description Protocol) is a data file that contains all of the necessary information for the creation of the glass master. The DDP file is saved directly to your hard drive can usually be uploaded to the manufacturing plant's web site. A DDP file is more reliable and convenient than the PMCD and has become more widely accepted. The Glass master is a glass disc with a thin film layered on it. The data from the DDP or PMCD is burned into the film with a laser that creates the microscopic pits and lands that are part of the physical creation of the audio CDs you buy in a store. From the glass master, stampers are created to press the CD discs in a very similar manner as done with vinyl records. This process creates a Red Book standard disc sometimes called a CD+G. CD's burned with a computer, by comparison, are burned optically and can have significantly higher error counts. The mastering audio process is the final stage in the music production process. 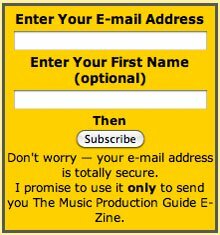 The stages outlined in the Music Production Process section of this website are merely overviews of each step and should only be considered a guide. Each step in the process easily contains volumes of in depth information much of which is covered in other sections of this website.